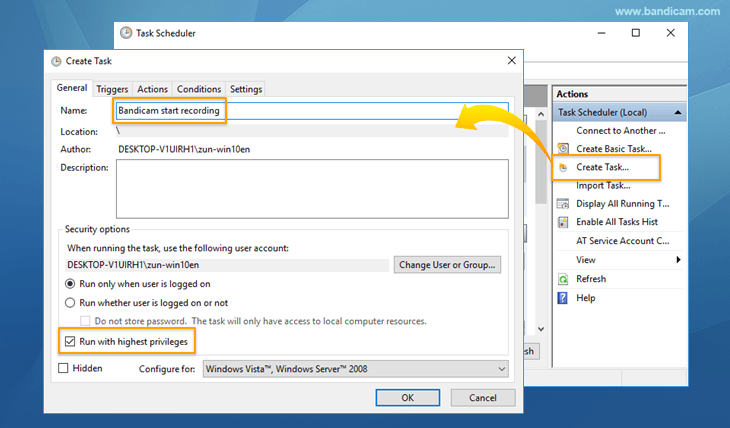 Want to start recording automatically when Windows starts? The "/record" command is available when the 'Screen Recording Mode (Rectangle on a screen, Fullscreen, or Around mouse)' is set. To use the "/record" command with the 'Device Recording Mode', check the Save webcam video as separate file (.mp4) option and set the 'Screen Recording Mode'. To hide the recording status bar, select the "Fullscreen" option under the 'Around mouse' mode. Please select the "Never" option at the "Power & sleep settings" when you record a computer for a long time. 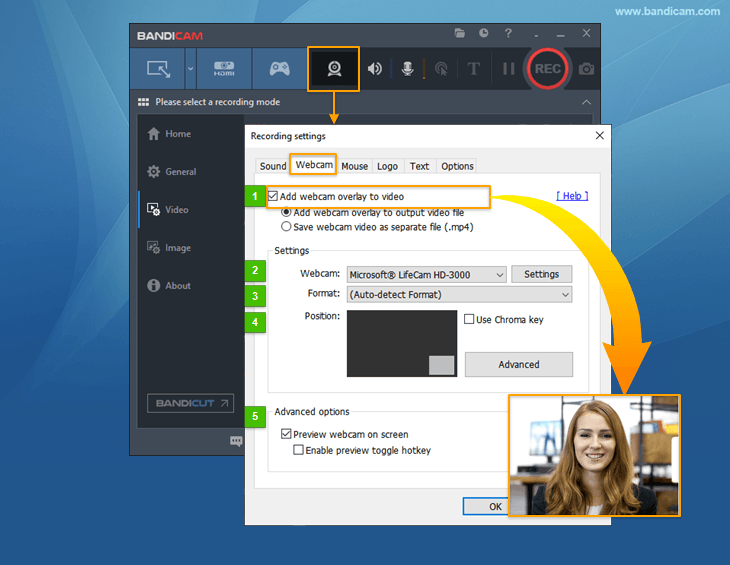 On a remote computer, if the remote connection is lost, the scheduled recording function will not work even if Bandicam is running. 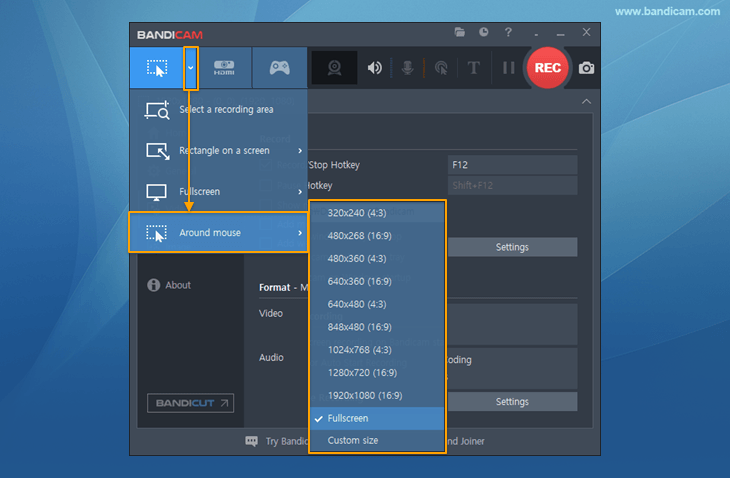 If you want to start recording at a specific time on a daily/weekly schedule, please refer to "Bandicam Scheduled Recording.)" Click on Start, type in "Scheduler" and click "Task Scheduler". 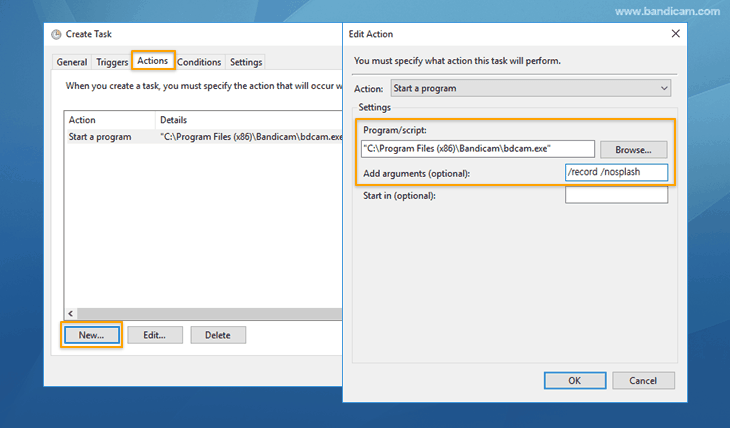 [General] tab: Click "Create Task...", type the name of task such as "Bandicam start recording" and check "Run with highest privileges". [Triggers] tab: Enter the desired start time of the recording ("On a schedule" or "At log on"). 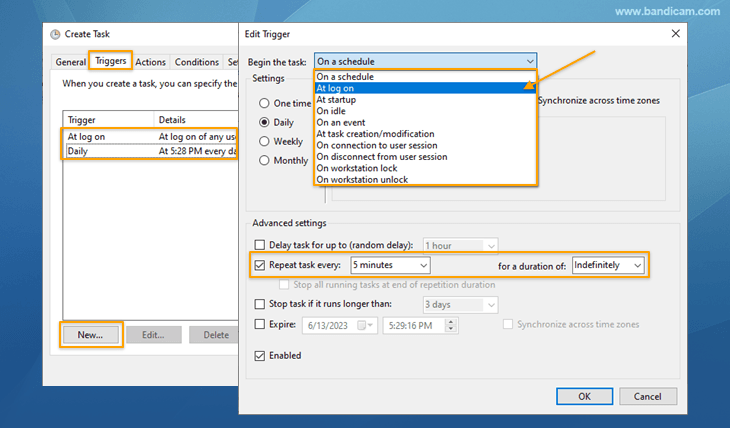 You now have created a Scheduled Task to start recording automatically. 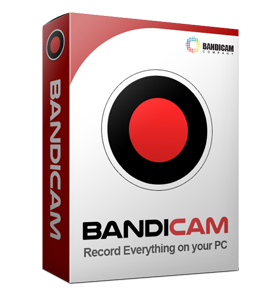 In the same way as above, create a "Bandicam stop recording" task. 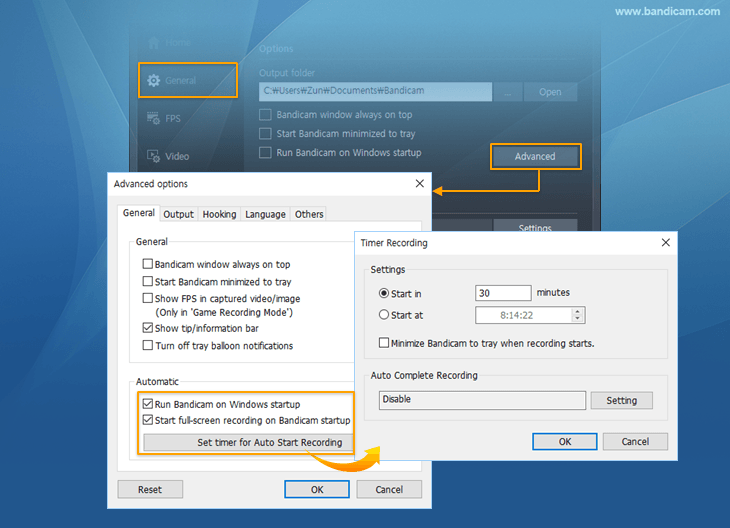 [General] tab: Type "Bandicam stop recording" + check "Run with highest privileges". 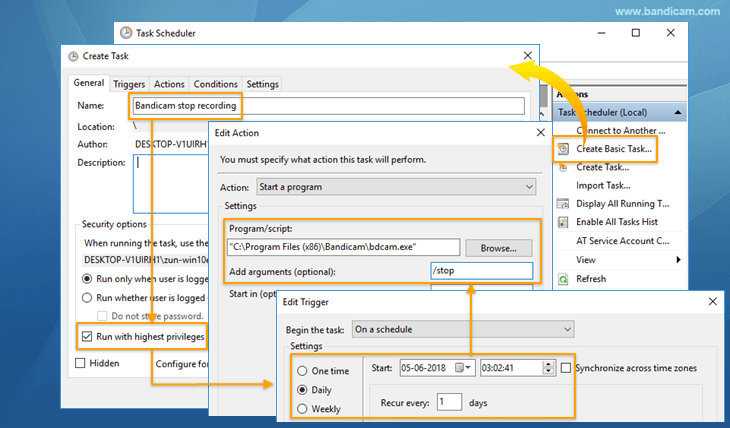 [Actions] tab: Select "bdcam.exe" + type "/stop"
If you use Windows Task Scheduler like above, you can start and stop recording automatically at any time you want.